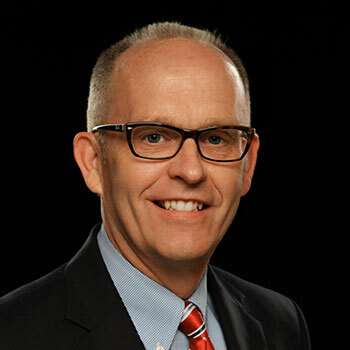 Prior to serving in his current role as executive vice president for academic affairs, Gary Weier served at Bob Jones University as a full-time faculty member in the division of communication, as registrar, and then as vice president for administration. While a full-time faculty member, Dr. Weier taught courses such as Public Speaking, Persuasion, Communication in Politics, Media and Society, Media Relations, and Rhetorical Theory. He holds a bachelor’s degree and a master’s degree in speech communication from BJU and a PhD in communication from Purdue University. He has studied as a summer fellow at Vanderbilt University’s Higher Education Management Institute. Dr. Weier’s passion is to see students’ lives transformed through the unique learning experiences provided through a biblically faithful liberal arts education. His desire is for students to understand their potential in Christ and to experience a growing passion to know, love and serve Him. He assists the president in setting the strategic direction for the University and oversees a gifted team that leads BJU’s academic and student life programs, including intercollegiate athletics, communications and marketing, and institutional research and planning. He also enjoys the opportunity to teach one or two communication courses each year. Dr. Weier serves as an executive committee member on the board of the Transnational Association of Christian Colleges and Schools and as vice president of the American Association of Christian Colleges and Seminaries. He has chaired or served as a team member for accreditation site visits at nearly a dozen colleges. He and his wife, Rebecca, were married in 1990 and have four children. They are active members at Morningside Baptist Church.